Natural Health Research, Robert Thiel, Ph.D.
Research on alternative medicine, naturopathy, and holistic health on subjects including allergies, attention-deficit disorders, ADHD, biolectrical stimulation, chronic fatigue, Down syndrome, fibromyalgia, FOOD nutrition, food supply, BEMER, headaches, infections, migraines, musculoskeletal pain, nutrition, reflex nutrition assessment, special needs children, thyroid concerns, and zappers. 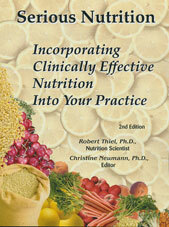 This research is for naturopaths, medical doctors, chiropractors, acupuncturists, and other health care professionals. None is specific for individuals--all possible applications need to be discussed with a thoroughly trained health professional. Might Calcium Disorders Cause or Contribute to Myoclonic Seizures? This article provides an explanation as to why nutrition should be considered as a first-line treatment for myoclonic seizures. Can Cognitive Deterioration Associated with Down Syndrome be Reduced? This article documents why certain nutrients (as found in foods) are expected to provide the greatest benefits. Down syndrome and Epilepsy: A Nutritional Connection? This article documents apparent nutritional links between these seemingly unrelated disorders. Orthomolecular Therapy and Down Syndrome: Rationale and Clinical Results Presentation at the 8th Annual Scientific Program of the Orthomolecular Health-Medicine Society, March 1, 2002, San Francisco. Facial Effects of Warner Protocol on Children with Down Syndrome This paper was published in the Journal of Orthomolecular Medicine. Growth Effects of Warner Protocol on Children with Down Syndrome This paper was published in the Journal of Orthomolecular Medicine. Special Needs Children General information about nutrition for these children. A well referenced and researched book on various health issues and how food based nutrition and supplements made entiredly of food (as opposed to the commonly used synthetic supplements) can help people in modern society. Buy from: Amazon or here. 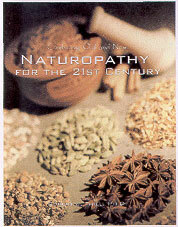 As a nutritionist (Ph.D. in nutrition science) and a naturopath (former president of the California State Naturopathic Medical Association and author of the book Combining Old and New: Naturopathy for the 21st Century), I realize that it is vital for nutrients to be absorbed at the cellular level and for toxins to be expelled by the body in order to optimize health. So when a trained chiropractor I knew told me about the how a device called BEMER worked and affected circulation, I was intrigued. Through the use of Tesla waves, the BEMER helps get nutrients to cells and speeds up the body's ability to detoxify. BEMER owns five global patents and BEMER research has received numerous scientific awards. After my wife and I tried the BEMER for ourselves, we had to have one. Only good, functional circulation ensures proper supply of nutrients and oxygen as well as proper waste disposal. This is fundamental to all metabolic processes. On this basis, it is clear what a critical role the circulatory system plays in overall health and well being. the point of nutrition is to get nutrients to cells, and according to naturopathic pioneers, poor health results when the body is not properly expelling toxins. Autism Links and Down Syndrome Information is available from the Warner House. Down Syndrome-Epilepsy Foundation provides clinical and other research of interest to those associated with persons with Down syndrome who also have experienced seizures. Trisomy21.org is mainly the results of an adopted mother of a Down's child, Dixie Lawrence-Tafoya. Dr. Leichtman is associated with this site. Like Dr. Warner once did, he sees Down's patients using nutrition. Upside of Down's is a site maintained by parents of a Down's child. It has many links to a variety of researchers and associations involved with Down Syndrome (including those that do not endorse nutrition). Important Note: We will not make recommendations over the internet (or telephone), nor can we recommend any practitioner that may be in your geographic area. None of the statements at this web site have been approved by the US FDA or any similar organization. We have been in the Five Cities region of the Central Coast since 1994 (in Arroyo Grande, CA for over 20 years, and then a mile down the street to Grover Beach since 2015).